Due to various criteria, such as the number of veneers, gaming strategies (Def, All, Off), or weight, table tennis blades exhibit various differences. In this article you´ll find blades corresponding to the Allround type. 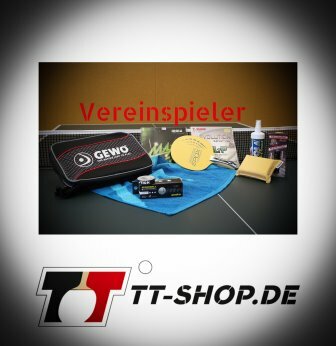 What do we need in table tennis? Most people think of 3 things: Table, ball, and bat. Considering the word "bat" (or racket), many people first think of rubbers. But a bat is not only rubbers! The blades have a substantial impact on the gaming properties. Blades are made of various layers and combinations of wood. This results in a very large range of products, each with its own, individual properties. In this article I want to show you what you need to know (and to consider) regarding table tennis blades. Beginners and people with (yet) no relationship to table tennis often think of bats as a piece of wood with some rubbers on it. Nowadays, however, the table tennis racket is far more than just this, it is a real technological masterpiece! Table tennis blades (to be exact: the many different, combined layers of wood) are, hence, also called the soul of the bat. Wood is a renewable resource, which corresponds to the hard tissue of trunks, branches, or twigs. Wood may be divided into hardwood and softwood. This plays a very important role when compiling your bat (see below). Approximately 50% of all table tennis players are using a substandard blade, meaning that the blade is of inferior quality. Once the rubbers are attached, one may be able to assess hardness and vibration behavior, but assessing control remains almost impossible. To avoid this, important criteria regarding the quality of the wood should be considered, already during the harvesting process. Such criteria include, for example, whether or not the wood is heartwood or sapwood (which is of lower quality), with or without knots, grown straight or bent, sufficiently dry or not, etc. What table tennis blades are the best ones? Table tennis blades are made of so called veneers, in most cases there are 5 to 7 veneers: First, there is the inner veneer, the core veneer, which is often made of soft wood (e.g. Abachi) and is called the heart of the bat. Being even softer, Balsa wood is the most frequently used wood for core veneers. However, Balsa is quite fragile. For the passive gaming, it dampens well. In contrast, during an attacking gaming, is accelerates a lot. Many, but not all, players perform very well with this core veneer. Hence, it is the most popular core veneer. Surrounding the core veneer, there are many additional veneers. They are made of very thin layers of wood (sometimes only 0.1 - 1 mm in thickness, hence, called fineline-veneers), whereas the wood may be soft- or hardwood (e.g. walnut or wenge). Hard table tennis blades lead to a faster game, suitable for attacking players. In contrast, soft table tennis blades are suitable for defensive players, corresponding to slower gaming properties. Of course you can also combine hard and soft woods/blades: Then, you can keep a good feedback for the ball while the bat is exhibiting sufficient speed. The outer veneers are called finishing veneers. Finally, the rubbers will be attached (glued) on the finishing veneers. In order to optimize the properties of the wood used for the bat, the blades should not be warped or absorb moisture. In such a case, a swelling process may occur. For these reasons, veneers are glued as stripes and are surface-treated, e.g. by sealing them. The gluing of the veneers is done individually by each manufacturer, according to the glue mixture. Such a gluing counteracts the natural quality variations of the table tennis blades. Due to the highly individual gluing and manufacturing processes of each brand, there is one important notion to consider: Even identical combinations of blades can result in different properties of the bat! Additionally, also handles (see below) and the surface of the bat / racket may vary. Numerical examples suggest that only 80 out of 100 blades are "good", when also considering longer time periods. 20 out of 100 blades exhibit quality defects which are simply too large (e.g. too hard, uncontrolled ball behavior, ...) and, hence, are not useful. Qualitative drawbacks, also regarding gaming properties, must also be expected when the combinations of the veneers is not optimal. Def (defensive style), with the sub-categories Def-, Def, and Def+. Off (offensive style), with the sub-categories Off-, Off, and Off+. 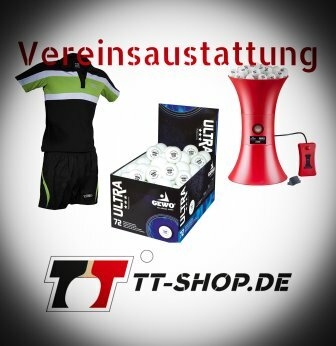 Def players (defending players) are commonly equipped with elastic, soft TT blades exhibiting quite high ball control and low speed. All-players usually use blades of medium control and low to medium speed. Allround blades are very suitable for table tennis beginners. Such TT blades exhibit perfect properties to develop your individual gaming style, they are also easy to control and not too fast. Many players swear their entire life by this pleasant feedback, and deliberately forego the power of offensive blades. In contrast, Off-players usually use fast(er) blades since they prefer an offensive game with less control. This specifications are commonly provided with the blade and can, hence, easily be assigned. For the above mentioned reasons, it is important that you know your individual gaming style. Another possibility is that your coach helps you with this issue. Please also consider that blades exhibit slight quality differences within, and somewhat larger quality differences between, different batches. The customer has to arrange herself/himself with those differences: For example, ±5g for blades without Balsa. However, there are learning effects since you probably get used to your bat while training - to a certain point. 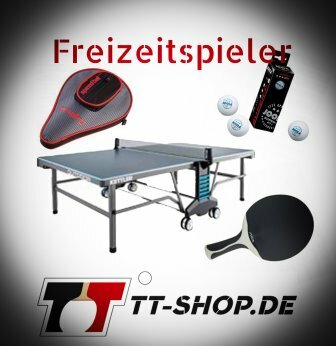 Table tennis blades must be in accordance with the regulations of the ITTF (International Table Tennis Federation). These regulations reveal that the blade must contain wood, at least 85%. The remaining 15% may be other materials, such as synthetic fibers, plastics, and so forth. These materials are often included by adding 2 additional layers to the already existing 5-7 veneers. For example, layers of Kevlar, glassfiber, or carbon may be added. Carbon is a carbon-fiber-reinforced plastic glued below the outer veneers, being responsible for a long durability of the bat´s properties (often for offensive and fast blades). Glassfibers are, similar to carbon, glued as surrounding veneers. They also lead to a higher stability and an increased speed, while keeping a good feeling for the ball. Kevlar, an aramid, is a plastic which also promotes positive gaming properties. Plastics are quite light and can "pimp" the properties of the blades. Of course, also plastic-fiber-reinforced blades must be of high quality which is ensured by strict controls. Furthermore, there are also combined blades available on the market. According to manufacturer specifications, the forehand properties differ from the backhand properties. For example, the forehand is faster than the backhand. However, it takes lots of experience to clearly perceive these differences. Progress reports also show that combined blades may "forgive" errors and mistakes. As becomes evident, high-quality and rigorously controlled TT blades are also essential here. The handles of table tennis blades are commonly available in 3, sometimes 4, different types: Anatomical, flared, straight, conical, other mixed forms, and penholder (Japanese or Chinese). The most popular types are straight and flared handles. It is really important how the bat is lying in the hand. Therefore, you should try and practice before finally buying your bat. Tip: 85% of all table tennis players use the flared type of handles! As already mentioned, all TT blades listed here correspond to the allround type. If you are searching for this, I´m sure you´ll find the right bat for yourself! A good possibility to find your way in the "jungle" of table tennis blades are the manufacturer specifications. According to brands, summary tables include various specifications, such as speed, control, weight, and price (please click the links below).